to live like I see a place in this world for me. Roots before branches. Oh how I love that. I too often forget that just because I can't see the roots doesn't mean they don't matter. They matter a whole lot. As I look around at the sturdy trees standing firm, I realize that they are depending on their roots to hold them up and care for them. Roots before branches. I love the idea of being rooted in who I am and what I stand for before I bloom. The more I discovery who I am, the more I am able to stand firm in my roots, in my faith, in the truths I hold dear. My roots matter, they matter a whole lot. The deeper and stronger my roots are, the more sturdy my branches will become. I'll be better able to support others, love better, and be kinder. the more I will grow. *don't forget to enter the $100 ann taylor loft giveaway! That third picture is pure beauty, love it (and you) my friend! Love those words! Are they from a song? And your outfit is so cute!! You are so cute and as always, the epitome of a southern belle. I just love you! I'm with Amy, the 3rd photo- love! So sweet, so perfect. 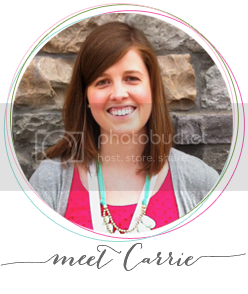 i'm new to your beautiful blog and beautiful you. 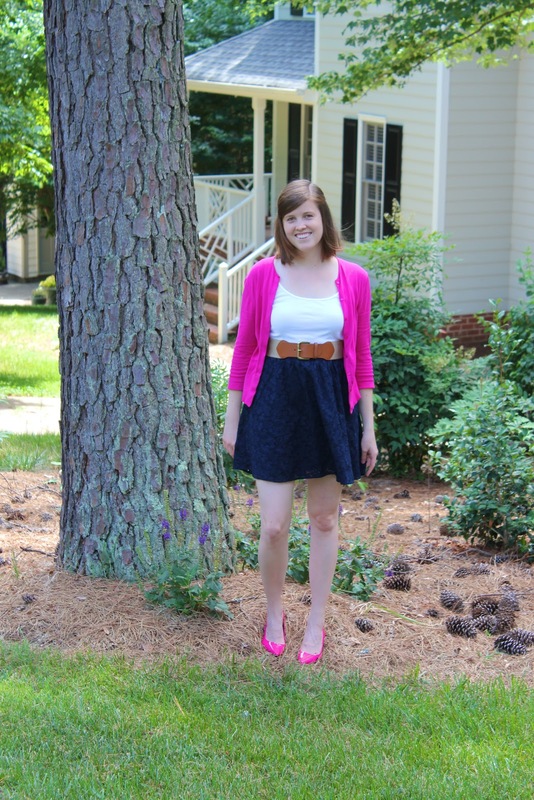 Loving that pink cardi and shoes! Very nice. You are looking beautiful! I love that saying too, roots before branches. I am totally guilty of wanting to skip the "work" stage and get right to the part where I see results...in all aspects of my life! That quote helps me realize that this is a problem. So thanks! Love the thought of roots before branches - it's so easy for me to just want the branches & ignore the roots! Fun outfit! Love pink + navy! Stopping by from wiww link up! Awesome quote! 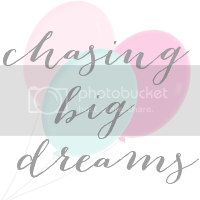 I just got introduced to your blog through the small things blog. It's adorable. too cute! just way too cute! I'm following ya now and would love it if you'd join me for the ride at localsugarhawaii.com. It's a come as you are kinda place and your being there would make it soooo much sweeter. 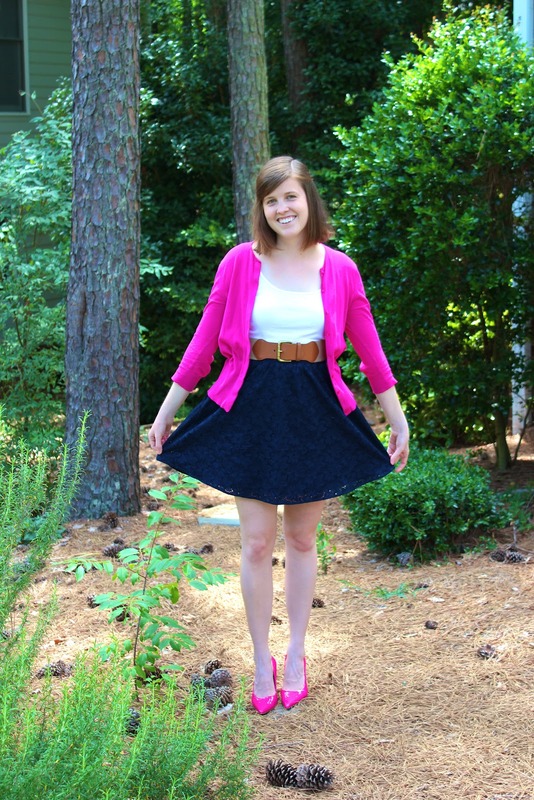 LOVE the blue skirt and pink cardigan! I am visiting from the Pleated Poppy link up. I am your 500th follower!! I hope you will stop by http://www.garagesalesrus.blogspot.com/ and do the same! And your outfit is TOO cute!